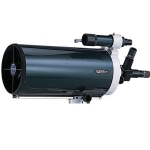 The Meade LT-6ACF go-to 6" f/10 provides the backyard astronomer with the latest Advanced Coma-Free optics at the lowest price ever for a state-of-the-art optical system. The Meade LT-6ACF is a scope that can keep you happily observing for the rest of your life, at a price that you can afford right now. Look and listen as the Astronomer Inside guides you through the universe, describing, in detail, the objects you are seeing in the eyepiece. With over four hours of audio descriptions of astronomical objects including planets, stars, constellations, clusters, nebula, galaxies and more, the AudioStar brings astronomy to life. It's like having a professional astronomer standing next to you at the telescope. The NEW AudioStar with Astronomer Inside takes you on a guided tour. Shows you the best objects in your sky from your location and time and then plays audio descriptions of those objects so you learn the details of what you are seeing. The NEW AudioStar knows the sky so you don't have to. It controls the telescope to find and track any of over 30,000 celestial objects automatically. 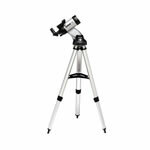 The NEW AudioStar with Astronomer Inside and the intelligence integrated into these Meade Instruments' telescopes provides the user with all the experience and astronomical knowledge that a professional astronomer could offer. The scope's standard equipment AudioStar computer is amazingly simple to set up and operate. You don't have to know Polaris from the Pleiades, or Albireo from Zubeneschamali. All you have to do is level the scope, point it North, and tell the AudioStar where you are on Earth and the time and date. The AudioStar computer will do the rest, aligning the scope on the skies and letting you locate dozens of deep space objects like a seasoned observer your first night out. 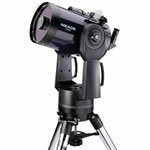 If you're one of those busy people whose schedule doesn't leave you much time to enjoy astronomy, the easy to use fully-computerized Meade LT-6ACF will make the most of your limited observing opportunities. The simple two-piece altazimuth design of the LT-6ACF makes setup fast and easy. The rapid alignment features of the AudioStar computer and its simplified menus start you observing in only a matter of minutes. The wide array of objects in the LT-6ACF database, and the 5 arc minute pointing accuracy of the AudioStar computer, accurately speed you from object to object with no frustrating hunting or star hopping. With the LT-6ACF, you'll spend more of your time looking at objects and less time looking for them. 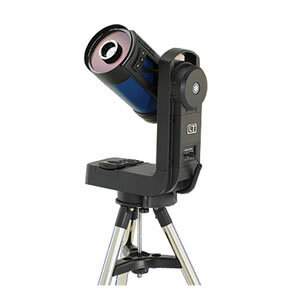 This 6" scope It is big enough to keep you happily observing for many years to come, portable enough to make it easy for spur of the moment observing, with premium coma-free optical performance that will make your observing a visual delight . . . all at a price that won't break the bank. Heaviest Single Component 30 lbs. Advanced Coma-Free catadioptric designed to emulate the optical performance of a Ritchey-Chretien telescope: 6" aperture (1524mm focal length f/10). Pyrex primary mirror. Fully-multicoated UHTC (Ultra High Transmission Coatings) optics for the highest possible image brightness. Aluminum tube construction, 7" diameter x 14.2" length, with glare-stop baffling. Guaranteed diffraction-limited performance. The scope has a standard Schmidt-Cassegrain rear cell thread, allowing the use of most SCT accessories manufactured over the past 30 years. For more details, click on the "optics" icon above. Eight user-supplied C-cell batteries: The scope is powered by eight user-supplied C-cell batteries that store in the drive base so you can use the LT-6ACF in the field or your backyard without the need for a separate battery pack or AC power supply. Battery life is typically about 20 hours, depending on the amount of slewing you do and the temperature (very cold temperatures reduce battery life). An optional #RCXAC adapter is available to allow you to power the scope from 110-120volt 60Hz AC household current in your backyard to conserve battery life. A #607 cigarette lighter plug adapter is also available to power the scope from your car's cigarette lighter plug or a rechargeable battery for extended use in the field. Finderscope: A straight-through red dot finder allows easy non-magnified views of the sky, with a projected red dot of light showing exactly where the scope is pointed at all times. Star diagonal: 1.25" 90 degree prism type. Eyepiece: 1.25" 26mm Super Plossl (59x). 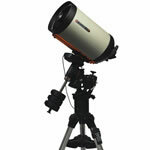 The eyepiece field of view is 0.88 degree, 76% wider than the full Moon, for expansive lunar and deep space views. Lightweight: The scope is surprisingly light. Its optical tube, fork arm, and drive base weigh only 30 pounds, while the adjustable height tripod weighs only 9 pounds more. 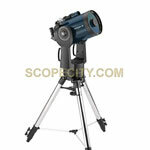 This light weight/two-part system makes it easy for one person to transport and assemble the scope, even a youngster. Fork mount/drive system: Light-weight, but rigid, die-cast aluminum single fork arm damps vibrations quickly. There is a carrying handle at the top of the fork arm. The mount includes 12volt DC slewing and tracking motors with 4.875" worm gear drives in both altitude and azimuth. Adjustable height tripod: The rugged steel tripod adjusts in height from 25.5" to 43.5". Its steel legs damp vibrations quickly, and a center leg brace adds rigidity. Three 1.25" diameter holes in the leg brace can hold eyepieces while observing. A single threaded rod with a large hand-tighten knob simultaneously holds the scope firmly on the tripod and locks the legs rigidly in the most stable position. 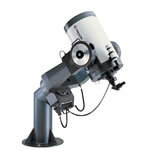 AudioStar computer: The LT-6ACF's AudioStar computer hand control plugs into the telescope's fork arm to permit a wide array of telescope options. First and foremost is its automatic go-to capability. The AudioStar computer can show you the planets and thousands of deep space objects the very first night you use your scope--even if you've never used a telescope before! At the push of a button, the LT-6ACF will move at a fast 6.5 degree per second to any of the 30,223 objects in its database and center it with five arc minute accuracy, trainable to three arc minute accuracy (the field of view of the supplied eyepiece is about 53 arc minutes wide). You can choose from 13,235 deep-sky objects from the complete Messier, Caldwell, IC, and NGC catalogs (sorted by name and type). Also included are 16,888 stars sorted by name, SAO catalog number, and by whether they are double or variable stars. The AudioStar will also locate the centroids of all 88 constellations and 50 objects in the solar system (8 major planets from Mercury to Pluto; the Moon; 26 asteroids; and 15 periodic comets). You can use it to track 50 Earth satellites, including the International Space Station and the Hubble space telescope, plus any of 200 user-defined objects. You can also automatically move to any object that's not in the database simply by entering its right ascension and declination coordinates. The AudioStar moves the LT-6ACF at any of nine user-selectable slewing and guiding speeds: 6.5 degree/sec, 3 degree/sec, and 1.5 degree/sec for slewing and centering; as well as 128x, 64x, 16x, 8x, and 2x the sidereal rate for centering and astrophotographic guiding. In addition, there are standard solar, lunar, and sidereal tracking rates with 2000 precision-selected incremental rates that permit observatory-level precision in tracking the Moon and planets. The AudioStar computer includes hundreds of special event menus, guided tours of the night's best objects, a glossary, utility functions, and telescope status options. It also allows fast alignment of the telescope in the altazimuth mode using any of three alignment methods, including Meade's proprietary Easy Align method. AudioStar computer operation. The operation of the LT-6ACF is simplicity itself. Once you mount the scope on its tripod, aim the scope north and level the optical tube. Enter your observing location's latitude and longitude into the AudioStar computer hand control. This needs only to be done once, as the scope will keep the location in its memory, as well as that of several other favorite observing sites that you can call up at will. Enter the time. The LT-6ACF will orient itself to the sky and slew at 6.5 degrees per second to the first of two alignment stars. If that star is not precisely centered, a touch or two on the AudioStar hand control directional push buttons quickly centers it. Do the same with the second alignment star the scope moves to and you're ready to observe. That's it! It takes only a few minutes to begin observing. For the rest of the evening, a computer in the AudioStar controls the scope's altitude and azimuth motors to keep you precisely centered on whatever you aim at, for as long as you want to observe. AutoStar Software Suite. This new software package is included as standard equipment with the LT-6ACF. It is designed to integrate the telescope with your PC or laptop computer for an enhanced range of performance features. The AutoStar Software Suite includes a planetarium program with a database of 19,000,000 stars and deep space objects for display on your computer screen. 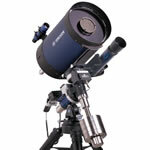 It includes all the standard planetarium program features for stand-alone use when nights are cloudy. In addition, if you connect the scope to your computer (using the supplied cable), the program lets you click on objects in the sky map displayed on the computer screen and have your telescope automatically slew to those objects. You can automatically generate AudioStar Tours of favorite objects with a simple point and click. The software lets you control all AudioStar functions from your computer or laptop. You can use it to create observing lists and download them to the AudioStar for use in the field when you don't have your computer or laptop with you. You can use it to control your telescope remotely via the Internet. "Talking Telescope" software (included) converts AudioStar text displays to synthesized speech through your computer speaker. An AudioStar Update Tool keeps your AudioStar current by downloading the latest system firmware updates and comet, asteroid, and satellite data over the internet from Meade's website.